On this episode, we're getting ready for the holidays with design tips from the pros, tour a $27M Malibu home, and more. Tune in! Interior decorator Ariana Villalta takes us inside her elegant Long Island City apartment and demonstrates affordable and easy ways to make the most of your space without breaking the bank. Watch the video above. Homeowner Sheri Spielman gives us an exclusive look inside her Lincoln Park home influenced by mid-century French style. It merges luxury and elegance with warmth and comfort. Watch the video. With the holidays just around the corner, Angela is off to Mathis Brothers Furniture in Ontario, CA to meet up with Rit Mathis for some design ideas that will help make this year's entertaining stylish and comfortable at home. Watch the video. Interior decorator Ariana Villalta takes us inside her elegant Long Island City apartment and demonstrates affordable and easy ways to make the most of your space without breaking the bank. 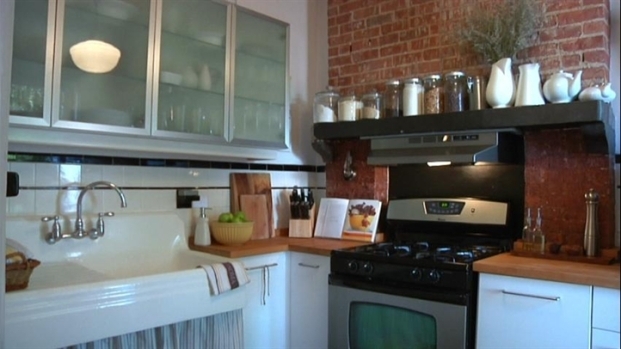 This episode of Open House was hosted from 117 E 24th, New York, NY. For more information on this property please contact Jacky Teplitzky and Iman Bacodari of Prudential Douglas Elliman at 212-891-7263 and 212-350-2206. We're with Suzanne Armstrong to get all the info you need before the holiday season starts up. It's just around the corner, after all! Watch the video. Doug Burdge of Burdge & Associates Architects takes us through this $27 million dollar architectural beach house that he created right next to Malibu's famous promontory Point Dume. Watch the video. This week's rescue brings George to the home of the DiMarco family in Franklin Square, NY, to fix up their upstairs area, which is pretty much unlivable. Watch the video.